Teaching With An Open Heart: Please see me. Please know me. We spend a ton of time in education improving our practices, trying new curriculum, integrating technology, and perfecting strategies to help our students learn and achieve. 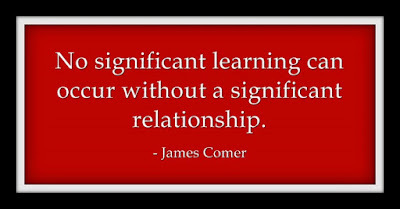 And, yet the single biggest truth about your classroom is still: You have to build relationships with your students. You have to have connection. You have to see them. You have to know them. Kids will do better when they know you care, when you learn about them, when you ask them questions about their lives. They will work wonders for you if they genuinely believe that you've got their back and they are important to you. They'll push themselves. They'll take risks. They'll soar. One of the first projects of the year that we do with our students is to have them create a simple PowerPoint about their country of origin. It's a lot of pictures and simple text. Then they present it to the class. We learn about where they are from- the climate, food, religion, language, animals, and customs. They get a chance to be smart and talk about something they are experts on. All at a time when they are often feeling very unsure and maybe not so smart in this new country and culture. We see them. We know them. All human beings long to be seen and known. It is the human condition. We were put here for connection. When I moved to my new city almost 10 years ago, I was so lonely at first. I had left a city where I had many strong and deep friendships, some friends I had known since college. They really knew me. They got me. It felt daunting to start over from scratch. And, I'm not a person who just wants superficial acquaintances. I want deep friendships. I want to talk about stuff that matters. I want to be able to show you my light side and my dark side. I first turned to the running community to find my tribe. I think during this first year I became a much better conversationalist. After a while I got tired of asking people about their jobs and I switched to asking them what they like to read, what movies they've seen, where they've traveled, other hobbies, etc. The truth is it was SO fun. I learned some fascinating things about people and I got turned on to new books, movies, place to see. And, I realized that no matter the topic, if someone was really into what they were talking about and passionate about it, it was fun to listen to them. 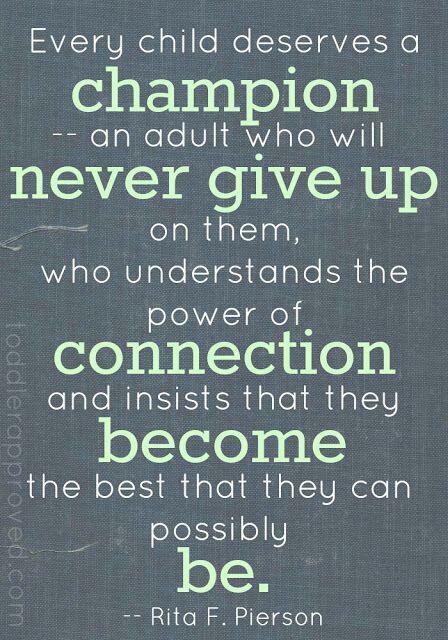 I love seeing that sparkle in someone's eyes when they feel joy about something they're pursuing. I might personally want to poke my eyes out when I consider your crafting project for myself, but I really do love to hear you talk about it. Once when I was training for a marathon, I was on a 20 mile run with a woman and she told me a very personal and profound story about her life. Theere's something about running that loosens your tongue and your heart. It's like sacred ground for getting to really know people. Just last week I was at a meeting with a guy I don't know well before others arrived, and in a span of 10 minutes I discovered that his wife is expecting their 3rd child; he knows how to build beds and is building one for everyone in the family; he took his class snow-shoeing that day, and he was a pitcher on his college baseball team. It was so great. People are fascinating! Cultivate the art of knowing them and seeing them and you will be richly rewarded. 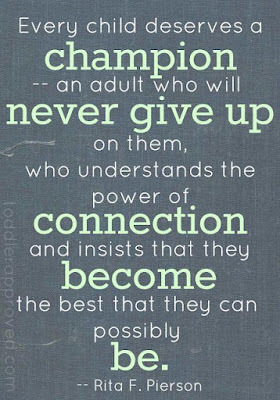 Sometimes teachers have a hard time seeing and knowing our students. We see one thing and we make a judgement. And, well, sometimes we're just really off- really wrong. For example, our culture and our schools really value outgoing students who raise their hand a lot and participate. So, if you come from a culture where quietness, respect, and humility are valued, this will not be a good fit for our culture. Or if you are naturally shy, or if you prefer to write your thoughts. We have a student like this and she was judged to be "not really getting it". The truth is, she does get it. She just doesn't perform or show her knowledge in the way this teacher wants her to. Does this student need to work on participating more and answering questions? Of course. Does the teacher need to work on offering other ways for this student to shine and show what she knows? You bet. Does this teacher need to focus on knowing this student and seeing her culture better? A resounding yes. My closest colleague was a refugee years ago. She had to learn a new language as a teenager and she didn't have any special services to help her with that. One of the greatest gifts she has given me in this work is her perspective. She has helped me see what might be going on with these kids and she has done it by revealing her own story. Sometimes I worry about new kids and she reminds me that they are in shock, overwhelmed, numb, exhausted. Sometimes I fret that they're not speaking much and she reminds me that it is normal to have a silent period and that she herself had a really long one in her new country when she was first there. She understands the heartache of leaving a country because it is no longer safe, giving up so much, and having to start over. She tells the kids her story and then they are freer to tell theirs. She lets me see her and know her and this helps me understand and help the kids better every day. She is a gift to me and our students. 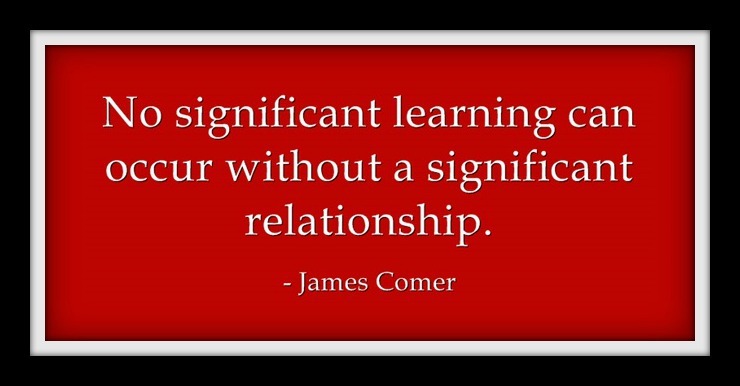 That's the other thing- share yourself with your students. They'll love it. When I tell them stories about my family, or my pets, or about when I was a child, they just eat it up. It shows you're human, too. It's a bridge to connection. Yesterday in class we did an exercise that had them practice asking questions. I asked them a lot of questions and, of course, they loved talking about themselves. But then, I told them they could ask ME questions and they just went crazy. The hands would not go down. How old are you? What is your dog's name? What does your cat do during the day? What are the names of your kids? Are you married? What is your husband's job? Connection. Relationships. Seeing. Knowing. There was a story in the news recently that caught my attention and sort of made my heart explode with the bravery and openness demonstrated. A Muslim woman and her husband in Cambridge, MA set up a stand and offered free coffee and doughnuts. They displayed a sign that said, "Talk to a Muslim." She said that she was prepared to answer tough questions about her faith but mostly she just received a ton of support. “We just wanted to talk to people and we didn’t see any harm in doing that,” said Haydar. “We are just normal people. There is definitely fear [in America], and I want to talk about it, because it’s actually misplaced and misguided — I am really nice!” This woman put herself out there in the biggest way in order to be seen and known. I have found that when I put myself out there to be seen and known, people appreciate it. When I am open and vulnerable, people respond in the most amazing way. None of us is perfect and it's a relief when we let others see our challenges and struggles. It's a comfort to know that we're all out there doing the best we can. It's interesting what you discover when you lower your guard and share your true self, warts and all. I find that people really want to talk and connect. I discovered that people still liked me despite my many mistakes and imperfections. I really feel like people are dying for authenticity and connection and closeness. Sometimes the vulnerability is terrifying, but, in the end, you'll feel seen and known and it will be pretty amazing.